Conditioning for an itchy, dry and flaky scalp. 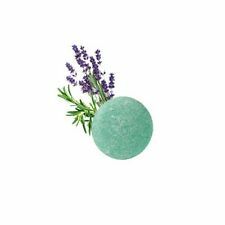 Life Style Shampoo Bar 50g. You can expect to get around twice as many washes from one 50g bar as you would from a 250ml bottle of shampoo. Scent: A light and gentle tropical fruity aroma. With soothing and fortifying Vichy Thermal Spa Water. Who is this for?. Dual efficacy against dandruff and its reappearance. - A light silicone formula for itchy scalp and oily hair. 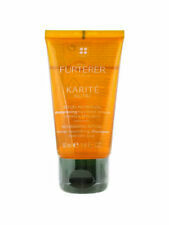 - A formula enriched with Ceramide to nourish dry hair and sooth itchy scalp. Did you know Coconut Oil is ideal to revitalize parched hair?. It is enriched with pure fresh coconut pulp and Vitamin E, so it maintains the strands natural hydration, it fights frizz and prolongs brushing smooth effect. To use: Apply to wet hair, massaging into a rich lather before rinsing out thoroughly. Bring dead-end hair back to life once and for all. Shampoo and conditioner twin-set specially formulated to tackle even the most war-scarred hair. Set includes: Resurrection Shampoo 750ml: Formula targets areas in most need of repair, giving your whacked out hair the revival it has been waiting for! Nutrifier Shampoo. Glycerol &. Coconut Oil. This silicone-free shampoo cleanses and leaves the hair softer, more supple and shinier. Apply evenly to wet hair. Undernourished hair. This silicone-free shampoo cleanses and leaves the hair softer, more supple and shinier. Apply evenly to wet hair. Strong & Nourished conditioner (for dry dull hair). Conditioner rich in active oils and butters, that embraces the whole length of the hair restoring its water balance and softness. Jojoba – naturally containing wax that embraces the hair and protects it. Coconut oil shampoo gently cleanses the hair and scalp. 1 x Bed Head Urban Antidotes Resurrection Shampoo 750ml. 1 x Bed Gead Urbain Antidotes Resurrection Conditioner 750ml. Urban Antidote #3 - Conditioner: Bring dead-end hair back to life once and for all. Label.m Honey & Oat Shampoo 300 Ml. Label.m honey & oat shampoo 300 ml. Honey & oat. Serie Honey & Oat. Produktart Feuchtigkeitsspendendes Shampoo für normales und trockenes Haar. Maßeinheit 100 ml. Marke Label.m. TIGI Bed Head Urban Antidotes Resurrection Shampoo 750ml. - TIGI Bed Head Urban Antidotes Resurrection Conditioner 750ml. Perfect for weak and brittle strands. 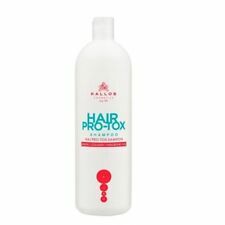 Milmil NUTRITIVes shampoo for dry and cured hair with MANDELextrakt. Marke milmil. Anzahl der Einheiten 0,75. Shampoo from Shiseido - 300 discover the beauty in you. Exclusive to Shiseido. Marke Londa. To damp hair massage. Rinse thoroughly. Produktart Shampoo. Maßeinheit 100 ml. The hair looks dull and lifeless, and he lacks the natural luster that makes it look healthy. Ideal for frequent use. Soft massage until obtaining abundant foam. Tipo de cabello Cabello seco. Tipo Champú. Barcelona, 08036 Spain. Còrsega, 217. The formula targets visible dandruff flakes from the first wash to reduce their appearance. The scalp is left feeling soothed and cleansed. Range Dercos. For first application, leave on the hair for 2 minutes, then rinse thoroughly. 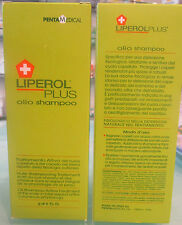 A revitalising shampoo specifically formulated for dry and very dry hair and scalp. The hair recovers its softness, silkiness, disentangling it and making it easier to comb. Provides hydration and nutrition to dry or very dry hair. COCONUT WATER. CLEAR PLASTIC 'LOVE ISLAND' TOILETRY BAG. 2 OF EACH! ( 88.7ml each ). Awapuhi Shampoo. Brightens hair by removing dulling build up. Special conditioners help improve hair texture. Paul Mitchell. 1000 ml professional size free pump. Multitasks as a luxurious body wash.
Bumble and bumble Bb Hairdresser's Invisible Oil Shampoo. 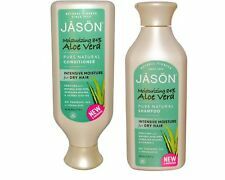 Dry Hair 250ml. Hydre Shampoo by Sebastian Professional rehydrates dry, frizzy and chemically treated hair. 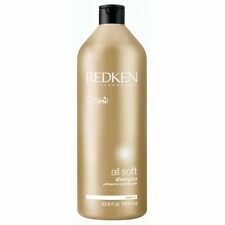 Features a colour safe formula, hydrates the hair to a full bodied style, improved manageability and a silky, radiant shine. Follow with Hydre conditioner. REGAL SELSON ANTI-DANDRUFF SHAMPOOS NORMAL AND DRY HAIR CAFFEINE 200 ml.